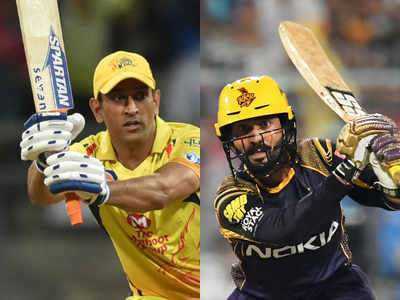 IPL 2019, Match 23 -CSK VS KKR its best against best with full of energy and spirit of the team players and the crowd. Victory title lies to whom head? Yellow Kings and Knights Riders have been smashing the tables with their outstanding victories. In last matches of CSK and KKR, they have defeated their opponents KXIP and RR with a good some records. This will be the clash of toppers of the tables. Both are urging to get another win in their hood and with that comes more subtleness in their points. The match will be the 23rd game in head to head statistics. Chennai fans will be gathering their voices and energy to gear up their home team for winning. Its best against best i.e. CSK VS KKR. The yellow army is ready to take on Kolkata riders with full form. As they have done it 12 times in the last 21 encounters. Some of the statistics are below. Top Bowler Imran Tahir, Dwyane Bravo, Harbhajan Singh, Karn Sharma, and Mohit Sharma. Top Bowler Andre Russell, Kuldeep Yadav, Prasidh Krishna.